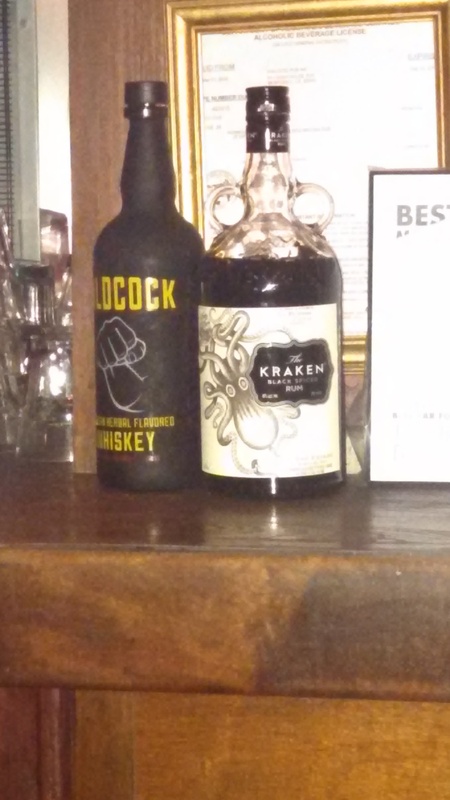 I was sitting at the Bulldog Pub in Monterey when I looked up and saw this bottle of booze on the shelf. Flashback to working on the 9th fastest computer in the world, in 2005. Kraken. An IBM Power4 cluster we built at Navo, Stennis Space Center. That was a fun project. I kept that beast up and running as Hurricane Katrina went overhead. Wild ride.